My love for all things noodle began with the number 10. 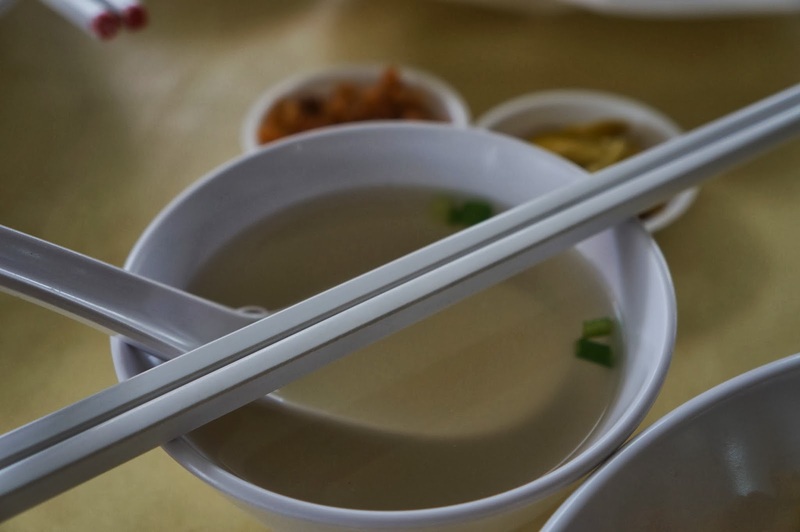 As a child heading out with my parents to what used to be the Up Markets in Fremantle (now Old Shanghai), I would invariably order the same dish every time - Tasty Taste Noodle House's No. 10, or Wanton Noodle Soup (Separate) as it was more properly known. 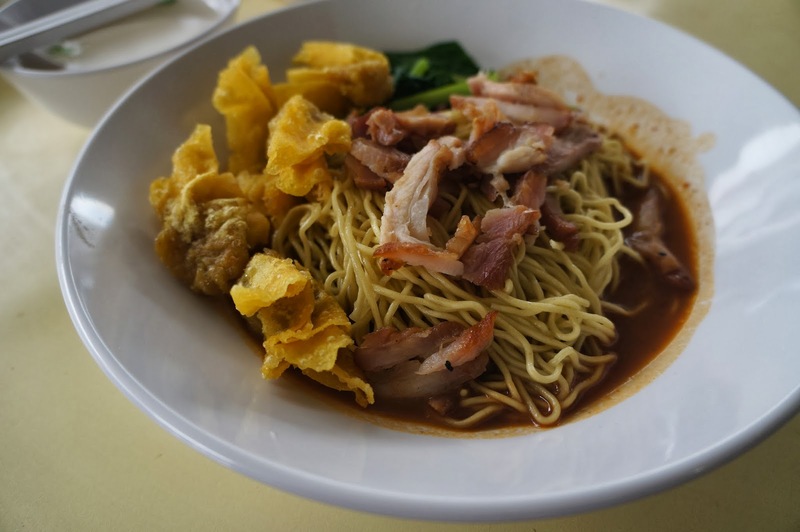 Prepared in the traditional Singapore style of wanton mee, No. 10 had it all - a lovely umami broth with small but delicious wantons, perfectly toothsome noodles placed on a bed of delicious soy-based black sauce that you had to stir in, topped with a generous helping of bok choy, char siu and Chinese-style roast chicken and garnished with chillis and fried shallots. This was a complete meal in a bowl, and though Tasty Taste's standards have dropped somewhat in the last 20 years my cherished childhood memories of noodle eating inform my present day obsession with ramen and pasta, whether eating it or making it at home. 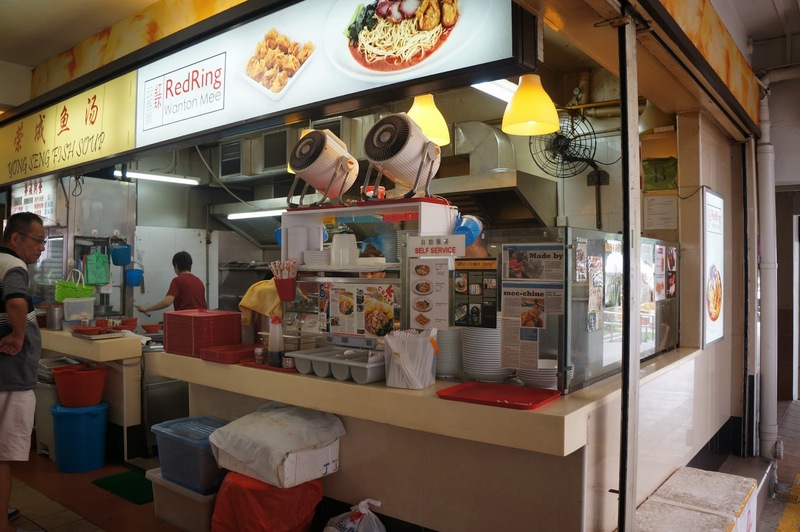 So when I heard the story of RedRing Wanton Mee, I knew I had to give it a try. Like me as a child, chemistry graduate Roy Chan's favourite food is wanton mee and in his final year of university devoted his time after hours to developing and perfecting his own version of wanton mee with the exacting scientific approach that his chemistry education (and fandom of Heston Blumental) had bestowed upon him. Less The Fat Duck and more like Heston at Home, every component of his wanton mee is well thought out without resorting to molecular gastronomy's more unusual techniques. Noodles are cooked in a Japanese ramen cooking machine for precision. Wantons come fried with the meal but can also be bought boiled as a separate item. Char siu is cooked in a Weber smoker to get a smokiness and natural redness to the meat without food dye, and even scientific measuring tools for measuring salinity and sweetness are used to ensure that the product is consistent day to day. After having napped most of the morning and early afternoon away after our red eye flight from Mumbai to Singapore, my Godma took us to the Buono Vista store, conveniently located in an unassuming small hawker centre on Holland Road a few minutes away from where they live. Roy Chan had by this stage left for his PhD studies, however his mother runs the store as per her son's recipe. We each ordered their $4 SGD large RedRing Signature with the extra wantons and char siu, plus a plate of the boiled wantons to try. 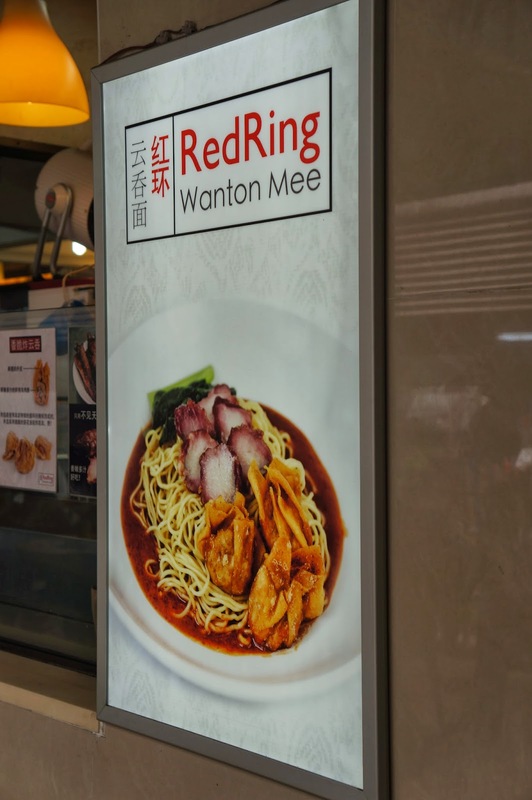 So, how does scientifically exacting wanton mee taste? Very, very good. The noodle texture was perfectly toothsome with a nice eggy aftertaste and their char siu was deliciously smokey. I had gone with the medium red sauce, but could easily have gone the hotter heat. This sauce was quite different from the usual black sauce served with wanton noodles, however tasted like a version of the black sauce that had chilli added to the mix, along with other additional ingredients. Its definitely not traditional wanton sauce, but I'm all for innovation if its successful, and this was very much so. The fried wantons were good but not necessarily mind blowing - while I do like the Singapore version of wanton mee more than Hong Kong's, I like wantons that are jumbo sized. I'm sure Roy Chan's decision for a smaller sized wanton was to do with an increased crunchiness to meat ratio, so with that goal in mind the fried wantons were successful. This could not be said of the boiled wantons as in boiled form as they were the same size as the fried wantons but due to the lack of crunch just came off as small wantons. Flavourwise they were tasty and juicy for their size, and the umami-rich non-spicy sauce that they sat in suggested that the non-spicy wanton mee would have also been nice to eat. If only I could have had Mak Man Kee's wantons with everything else here, for that would have been the ultimate. Finally, the broth was of a high standard, tasting like its glutanate content had been arrived at honestly ie without MSG. I mean, for all I know there might be some added monosodium glutanate in there but the soup had a complexity of flavour that usually comes from having to work for the MSG rather than just adding it. 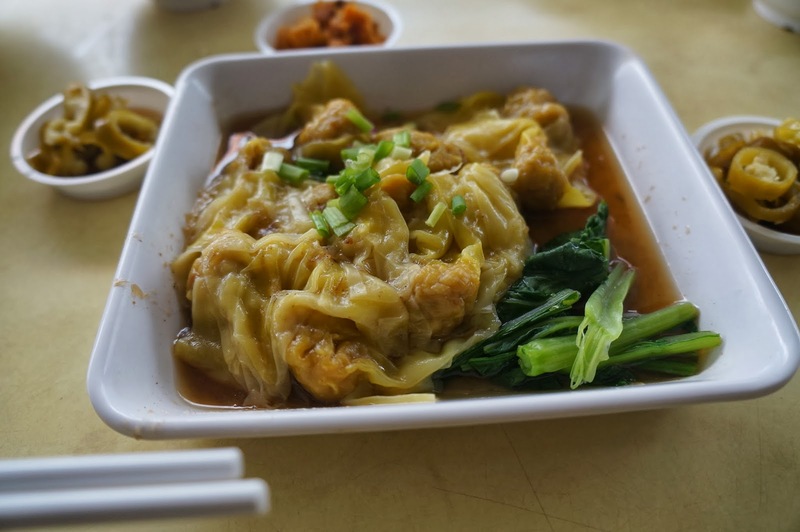 Roy Chan's scientific approach has resulted in a real winner with this version of Wanton Mee. His noodles in RedRing sauce and the smokey char siu are the real innovative stars of the dish, with the wantons unfortunately a little less exciting. Had the wantons been as the same level this would have been given a verdict of Excellent (as in, if you're in Singapore you've got to eat this), but as it stands this is a very strong Very Good, meaning if you're in the Holland Rd area you should make sure RedRing is on your list of places to dine.